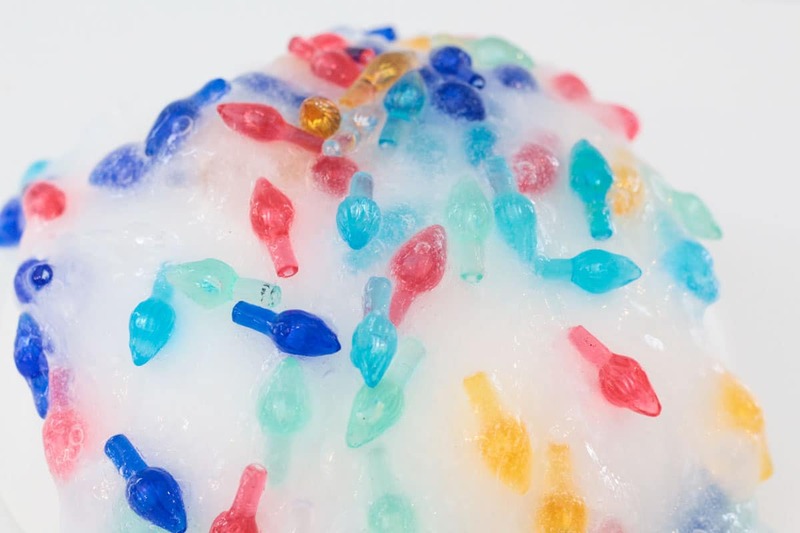 How to Make Christmas Lights Slime that Really Lights-Up! One of my fondest memories growing up was the reaction my siblings would have to Christmas lights. Every time we would drive by a house with Christmas lights, they would freak out in the most adorable way possible, exclaiming over every single glow and glimmer. I’ve carried the extreme hype of Christmas lights over into my family, and now, my kids (and being honest, also me) are incredibly excited every time we catch a glimpse of any glittering Christmas light. 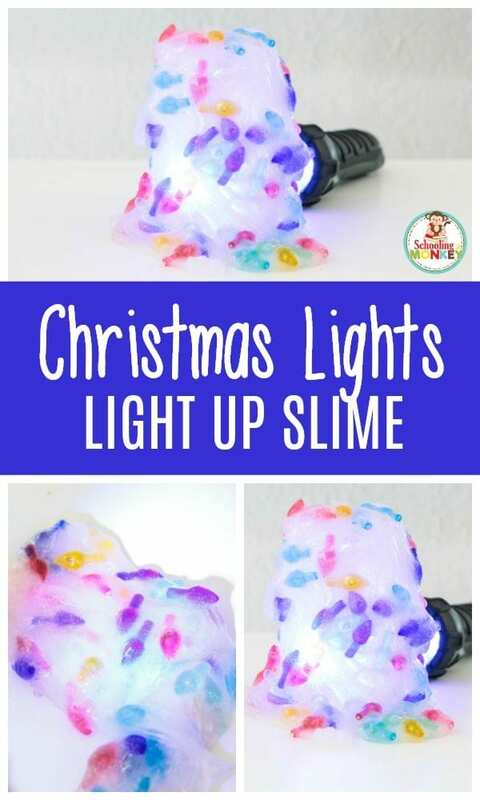 This recipe for Christmas lights slime is a way to bring two of my kids’ biggest loves together: slime and Christmas lights. 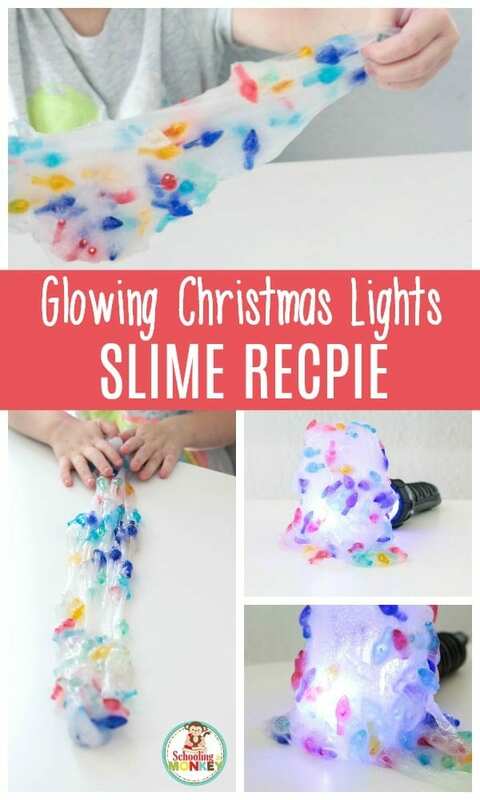 If your kids loves Christmas lights as much as mine do, they will go nuts for this simple slime recipe. 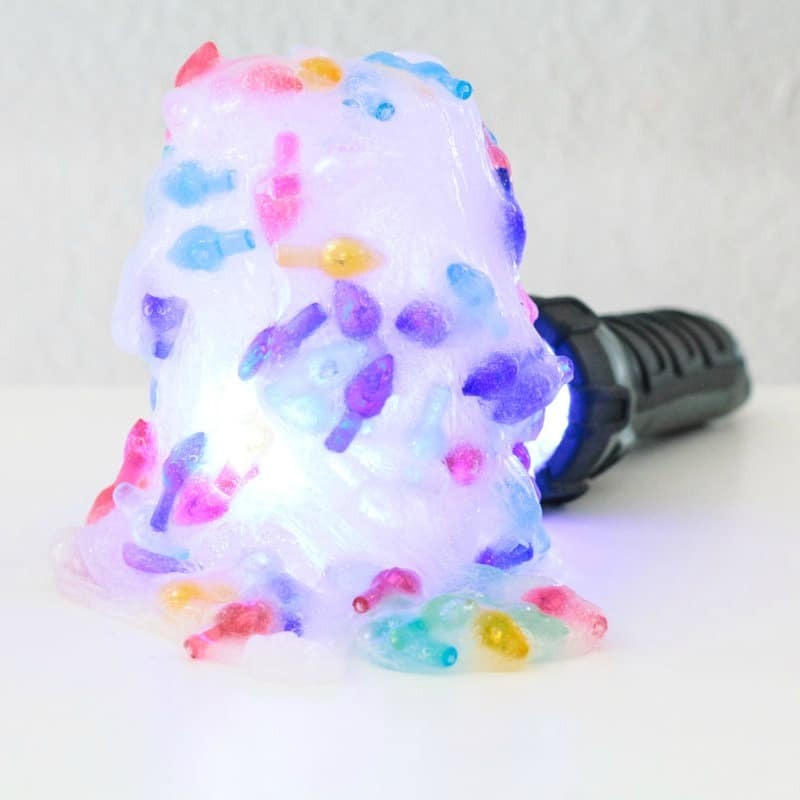 1: Use a flashlight to shine through the slime and make the lights glow. 2. 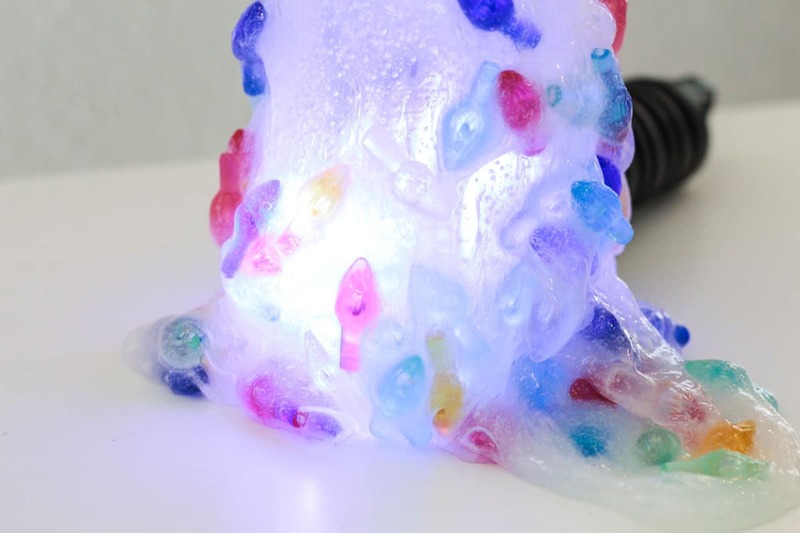 Use tonic water instead of regular water in your slime recipe, then shine a black light on it to reveal the glow! The kids had so much fun with this recipe, and it’s the perfect easy STEM activity for the holiday season when you’re pressed for time. 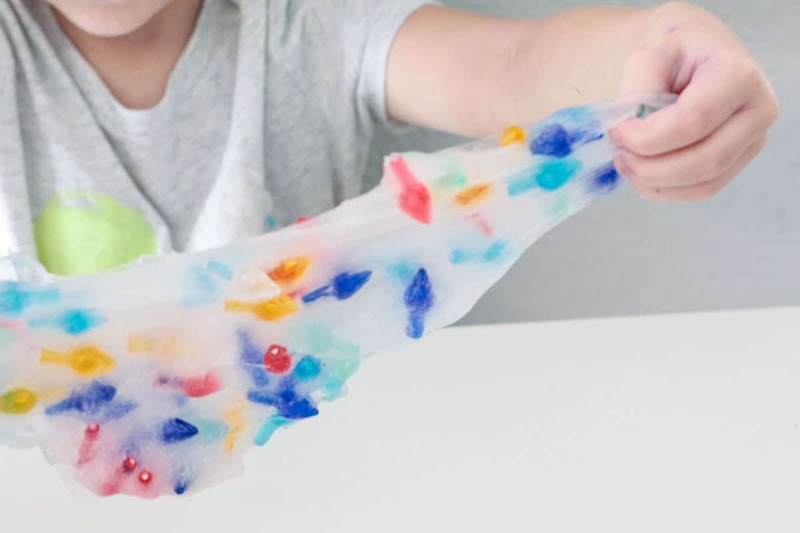 Our favorite slime recipe always uses this basic starch slime recipe as a base. 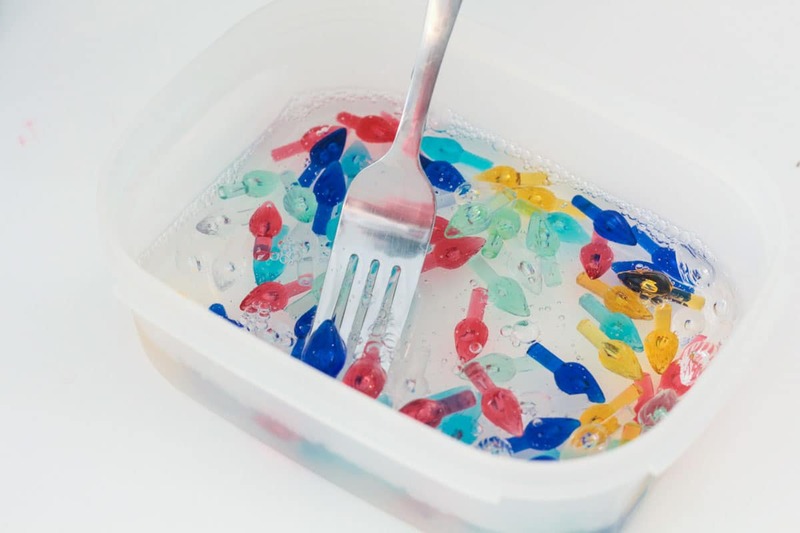 In general, you’ll want to use one part glue, one part water, and one part starch. 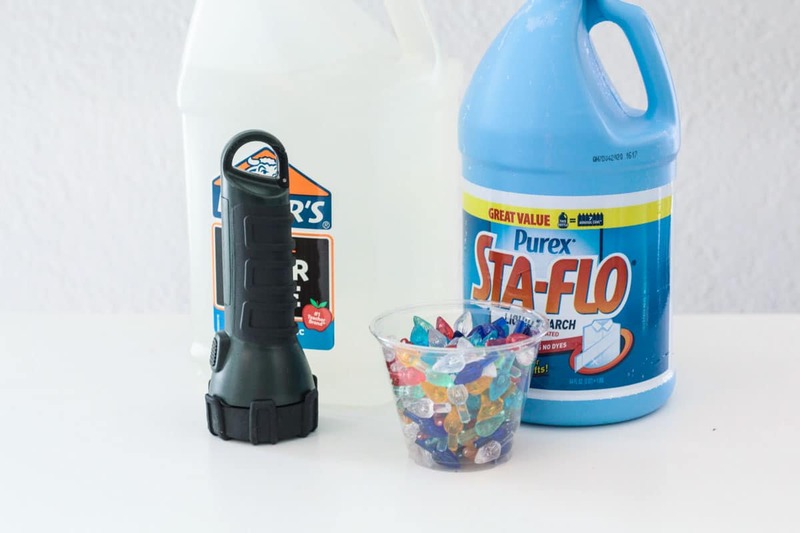 Mix the water and glue together, then add your Christmas lights. Use the ceramic replacement bulbs so that there are no electrical issues with this activity. Next, pour in your laundry starch and stir. 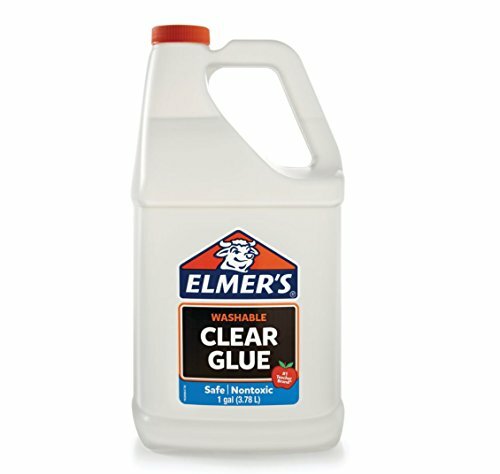 We usually add food coloring, but since we’ll be shining a light through this slime, you want it to be as clear as possible. We also thought it would look cool to try black slime as the base as well. 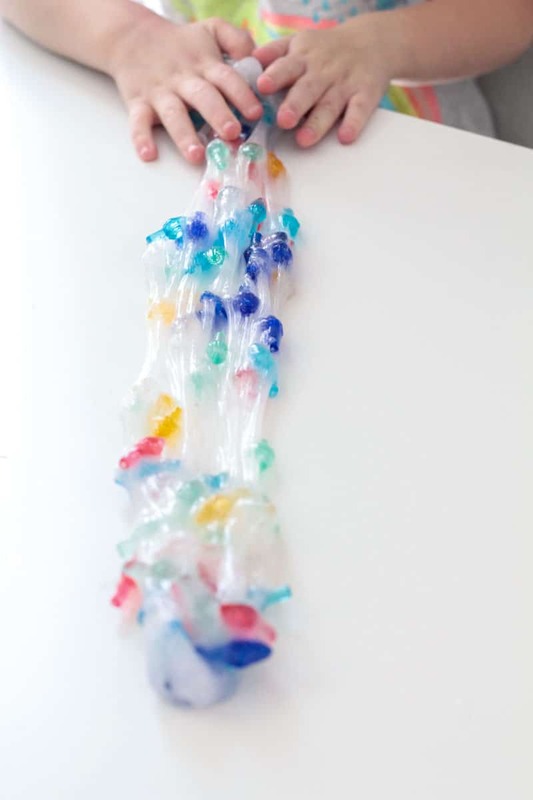 The lights will fall out of the slime pretty easily once it is solid, so I advise playing with this slime over a tray to catch any falling Christmas lights. Stretch and play with the slime as normal. Now, shine the flashlight on the slime and watch as the Christmas lights start to glow! Turn the light on in the dark to make your Christmas lights slime look like real Christmas lights that you see hanging from houses in December. 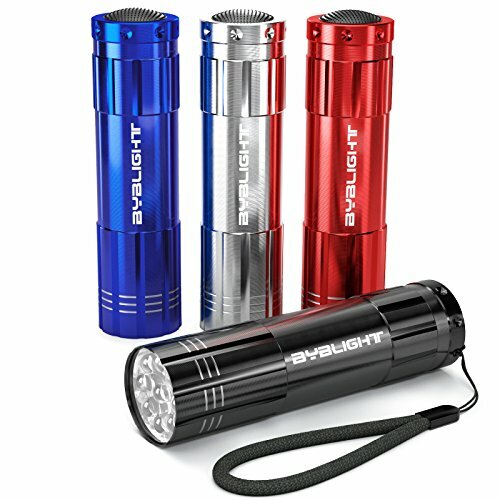 It’s such a blast to see the lights glow from the light of the flashlight or black light. 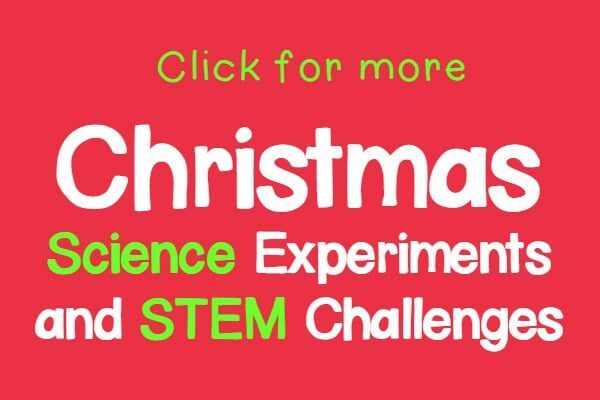 Looking for More Christmas STEM Activities?